Aaliyah was an American singer, dancer artist and model best known for her triple platinum debut album Age Ain't Nothing But a Number. Net Worth: According to Celebrity Net Worth, at the time of her death in 2001, Aaliyah had a net worth of 10 million USD. Childhood: Aaliyah was born in Brooklyn, New York, to Dianne and Michael Haughton. She began singing at weddings, church choirs and charity events at a young age. At the age of five, Aaliyah realised she wanted to be an entertainer and toured with her aunt, Gladys Knight, while auditioning for television roles. At the age of ten, Aaliyah was working on the show Star Search and the following year appeared in concert with her aunt in an attempt to become noticed by a record label. Musical Career: Aaliyah signed on with the label Blackground Records at the age of twelve. 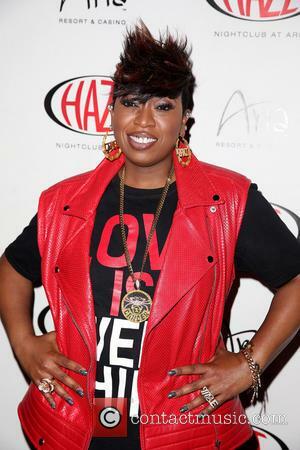 She began being mentored by R. Kelly, who proceeded to write and produce her debut album which was released when she turn fourteen. The album, Age Ain't Nothing But a Number, became a double platinum record upon it's release in 1994. In 1997, Aaliyah's second album, One in a Million, was released and also achieved double platinum status. In 2000, Aaliyah appeared alongside Jet Li in her film debut Romeo Must Die, for which she served as an executive producer for the soundtrack. She also contributed four songs toward the film. Her third album, 'Aaliyah', was released in 2001 and reached number two on the Billboard 200 list. After her death the following month, the album shot from number nineteen on the list, straight to number one. Personal Life: Around the time of Aaliyah's first album, Age Ain't Nothing But a Number, rumours began to circulate that she and R. Kelly had lied about her age and secretly been married. Both denied the accusations claiming that neither of them were married, yet after the court case ended, Aaliyah cut off all connection with R. Kelly. On August 25th, 2001, Aaliyah and members of her record company were in The Bahamas filming the music video to one of the songs from her latest album, Rock The Boat. Having finished shooting, they decided to leave a day ahead of schedule and boarded a different, smaller plane to what they were supposed to travel in. Due to the excess weight from recording equipment and too many passengers, the plane crashed during take-off, killing all passengers. Beyonce paid tribute to the late R&B star, who was one of her biggest influences, by posting a clip of an brief interview she did with Aaliyah back in 2000. On the 15th anniversary of the tragic death of R&B star Aaliyah, a tribute has been paid to her by an auspicious modern star in the shape of Beyonce, who posted a distinctly fangirl-y interview snippet she did with the late star back in 2000. Beyonce, one of the world’s biggest stars and who has just slayed the public and critics alike with her recent Lemonade album, was just 18 and still in Destiny’s Child when she got the opportunity to do a very brief red carpet interview with Aaliyah at the 2000 MTV Video Music Awards. Timbaland Vs. Lifetime's Aaliyah Biopic: It's On. Now that that's all clear... can we all collectively move on? 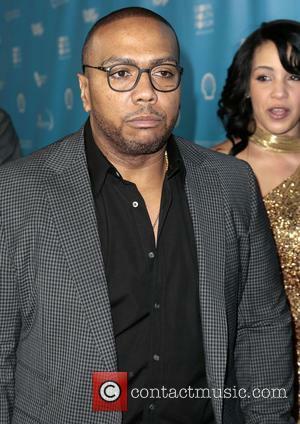 So apparently, Timbaland (along with the rest of the world) isn’t thrilled with Lifetime’s depiction of Aaliyah’s life. The producer, who mentored Aaliyah through her rapid rise to fame has spoken out on the film, which hit cinemas on Saturday. Alexandra Shipp plays the title role in the barely watchable movie. Like any self-respecting artist these days, Timbo voiced his opinion via Twitter and Instagram, through several pictures, messages and video. First he shared a photo of the movie's poster, writing, "Hope yall not watching this!!!!!!!!" Continue reading: Timbaland Vs. Lifetime's Aaliyah Biopic: It's On. ‘Aaliyah: Princess of R&B’ has gained two new cast members and many more Twitter complaints. Lifetime’s upcoming Aaliyah biopic has found itself the subject of a casting controversy once again, as the actors playing Missy Elliot and Timbaland have been announced. Newcomers Chattrisse Dolabaille and Izaak Smith will be starring as the two hip hop stars who played a vital role in the late singer’s career. But with the Twitterverse already voicing their disproval, lets meet ‘Aaliyah: Princess of R&B’s’ newest cast members. The casting of Lifetime’s ‘Aaliyah: Princess of R&B’ hasn’t exactly gone smoothly. Originally, Disney star Zendaya Coleman was tipped to play the tragic singer back in June. But as soon as the 17 year old’s name was announced the movie was hit with criticism from those who felt Zendaya just wasn't right for the part. Whether it was because of her age or appearance, the choice of Zendaya just didn't sit well with Aaliyah’s fans. Eventually the actress pulled out of movie, but instead of bowing to her critics, she citied production problems for her departure. In her place, Nickelodeon actress Alexandra Shipp was brought in to fill the lead role. The cast of the film is shaping up. Lifetime’s Aaliyah biopic is moving full-speed ahead after the announcement of the lead actress. Despite lack of support from the family, the film will be made without any delays. 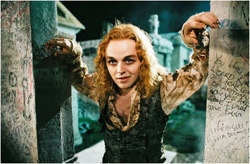 According to The Hollywood Reporter, two more roles in the film have been cast – and they’re pretty big ones too. 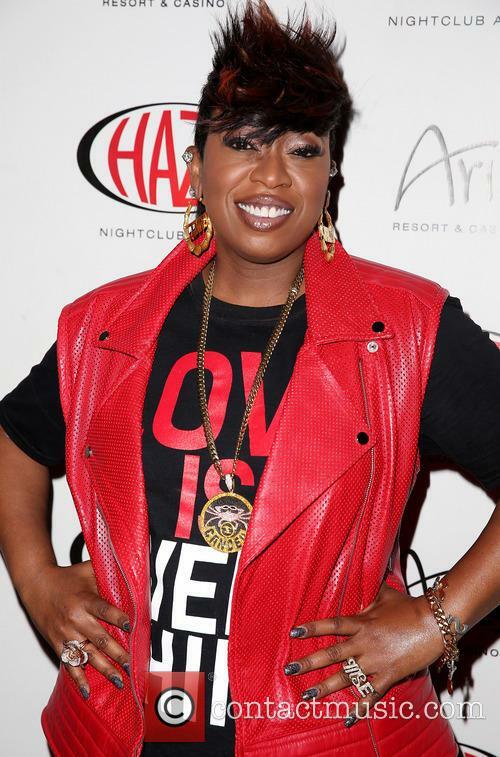 The Lifetime biopic has found its Missy Elliott and Timbaland. Lifetime has followed its established practice of hiring relative unknowns and chosen Chattrisse Dolabaille and Izaak Smith for the roles of Aaliyah’s collaborators Missy Elliott and Timbaland. The rappers/producers were instrumental in helping Aaliyah’s career. They worked closely with the singer on her 1996 album One in a Million and she had practically become their protégé by the time her self-titled sophomore album was released in 2001. Aaliyah tragically and infamously died in a plane crash later that same year. As Zendaya Drops Out Of Lifetime's 'Aaliyah' Biopic, Is This The End Of The Project Altogether? Is this the end for the Lifetime project? Just weeks after Disney Star Zendaya Coleman was announced as the star of Lifetime’s Aaliyah biopic, the network has announced her withdrawal and put the project on hold. Lifetime announced the news via their official Twitter account on Sunday. After fans deemed Zendaya inappropriate, the 17-year-old singer has officially dropped out. The company is yet to release a detailed statement. At this point, the reasons behind Zendaya’s departure are unknown. Continue reading: As Zendaya Drops Out Of Lifetime's 'Aaliyah' Biopic, Is This The End Of The Project Altogether? Zendaya took to Twitter to post a long-winded explanation/inspirational speech, which may or may not have been related to her role as Aaliyah. Zendaya Coleman will play Aaliyah in the upcoming Lifetime original movie and there’s nothing the critics can do about it. When the singer/actress/Dancing with the Stars alumna was first slated to play the iconic performer, the backlash was swift and terrible. On Monday, Lifetime revealed that the emerging actress will portray Aaliyah, despite the five-year age difference between 17-year-old Zendaya and the hip hop icon at the time of her tragic death. The young star is excited to portray someone, who influenced her life and career in such a profound way. Disney Starlet Zendaya Coleman is excited to play one of her idols. Philip Seymour Hoffman and Paul Walker both tragically died mid-way through filming projects, which other actors have sadly passed before completing their movies? The world was taken back by the very sudden death of Paul Walker at the end of 2013, only to hit by the sad news of Philip Seymour Hoffman’s drug overdose in early February. Both actors were well liked in their personal lives and had successful careers, similarly they also were working on incomplete projects at the time of their deaths. Walker had begun filming scenes for the latest movie in the franchise that made him famous, Fast & Furious 7, but still had important scenes left to shoot. Sources have claimed that a large section of the script had to be rewritten in order to continue with the film after Walker’s fatal accident. 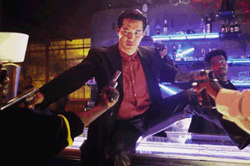 Most freely adapted from Shakespeare, "Romeo Must Die" is a pounding-adrenaline martial arts action flick with a rival gang romance subplot that seems to have lifted more from "Macbeth" than "Romeo and Juliet" -- mainly that it's full of sound and fury, signifying nothing. The marquee-topping American debut of Jet Li -- the high-kicking crown prince of Hong Kong kung fu movies and the bad guy from "Lethal Weapon 4" -- this MTV-minded festival of bullets and flying fists is a very slick affair. Taking a cue from "The Matrix," cinematographer Andrzej Bartkowiak (who shot "LW4") makes an action extravaganza of his first directing effort by employing suspension-wire acrobatics and a souped-up version of the now-famous rotating freeze-frame technique to enhance Li's 200-octane fight sequences. Right out of the gate, Li kicks the asses of half a dozen Hong Kong prison guards, while hanging upside-down, one-legged, from a chain in a torture chamber. The raucous scene turns into a spectacular jailbreak, inspired by Li's desire to get to America and avenge the murder of his gangster brother. Will Drake Produce Aaliyah's New Posthumous Album?